American author of children's novels. Born in Bethlehem, Pennsylvania in 1923. She studied at Bucknell, Columbia and Pennsylvania Universities and then became a teacher of English and social studies. After a number of years teaching, she began to write freelance and eventually published 21 children's books. Her stories were mainly mysteries and adventures and some historical novels. She wrote a series of mysteries about brother and sister Sam and Sarah, of which the first one was a horse story. 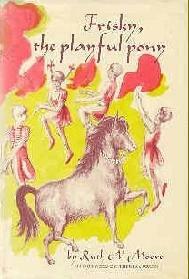 Also wrote two other stand-alone pony novels, one for younger children. I am not sure what her interest was in horses, but she did live on a farm for much of her life so could have come into contact with them there. SUMMARY: All the children love Mr. Chester's Shetland pony, especially circus boy Joe who teaches him circus tricks. SUMMARY: Melissa is unhappy at having to spend 2 weeks away from home on a farm as part of a 'fresh air' programme for city kids. But once there she falls in love with the sorrel horse she is to ride and also, after a shaky start, befriends the girl Jan who is afraid to ride. SUMMARY: Part of the 'Sarah and Sam' series, a children's mystery series. This is the first in the series and has a horse theme, although I don't think the others feature horses at all. Sarah and Sam are drawn into the mystery of some missing Saddlebreds when they find a motorcycle and a bridle in the barn on their farm and a stranger living in an abandoned cabin. 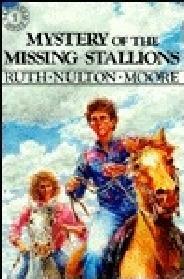 As far as I know The Mystery of the Missing Stallions was not published in hardback. All three books are reasonably easy to find in the USA. They are quite hard to find outside of America, although the 'Sarah and Sam' book can be bought from the USA via Amazon very cheaply.